BEING diagnosed with prostate cancer was a hammer blow for Perth granddad Willie Auld. But with six kids, as well as nine grandchildren he wants to see grow up, life couldn’t be more precious for the retired engineer. So, he battled through surgery and gruelling radiotherapy to try and beat the disease. However, he found himself in such an awful place he started questioning whether it was a route he should have even gone down. Salvation, though, came in the shape of a Dundee project that finally shone light in the bleakest of tunnels. It was back in 2013 that Willie first went to see his GP with what seemed to be just a urine infection. “I was given a PSA test, which was slightly elevated, but it appeared to be related to the infection, nothing more,” said Willie, 67. “I didn’t even have any ongoing symptoms. “It was monitored for a couple of years until it rose to the extent that I was sent for an MRI scan and then a biopsy. “In June 2015 I was give the diagnosis. 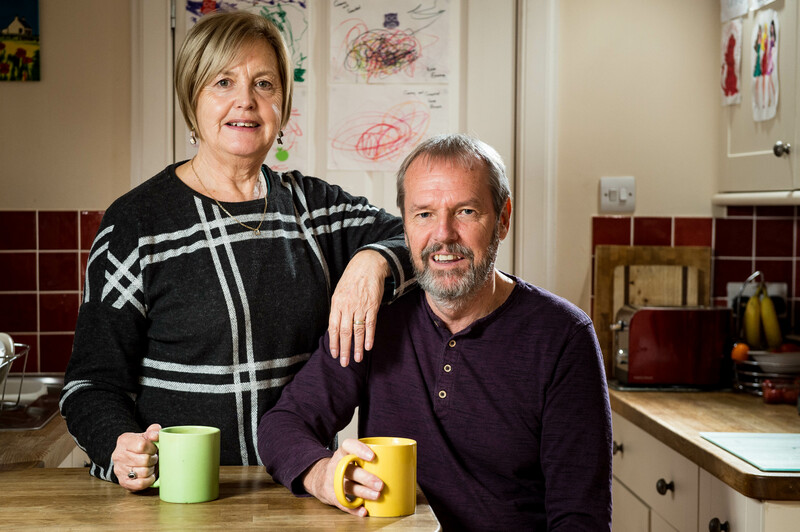 I remember turning to my partner Morna as we were walking in to see the doctor and saying to her that we were probably going to be told I had prostate cancer. “Everything was pointing to it, but you always have some hope. Willie had surgery to remove his prostate and was put on a course of radiotherapy. It caused irreparable damage to his bladder and, even more significantly, his bowel. “There was always an urgency to get to the toilet and the pain was just atrocious,” explains Willie. “I couldn’t leave the house properly and I felt so isolated. At its worst it was so bad that I remember thinking that having cancer would be better than this. “I actually had conversations with friends and family, saying that if I’d known how awful the radiotherapy was going to be I might not have had it. “In a rational state of mind I’d probably still have gone ahead, but it got so bad I was questioning whether I should have just taken my chances. It was being put in touch with a local Transformative Care After Treatment, TCAT, project at Ninewells Hospital in Dundee that turned things around for Willie. The TCAT programme was set up to test and spread new ways of supporting people with cancer through £5million of funding from Macmillan Cancer Support. It works in partnership with the Scottish Government, the NHS, local authorities and the third sector. Each of the 25 projects across the country is unique and attempt to cover the wide range of needs of patients. “I wasn’t prepared for what was happening to me and it wasn’t until I was put in touch with the colorectal nurse involved with TCAT and Ninwells that I finally felt someone understood,” said Willie. Willie was also helped by Maggie’s Centre and the Pelvic Radiation Disease Association, PRDA, and he has subsequently become the first Scottish trustee and is looking to help it extend the support it offers in Scotland. Willie’s resolve has been sorely tested with the recent news that, after completing two years of hormone treatment, his PSA levels have risen again.